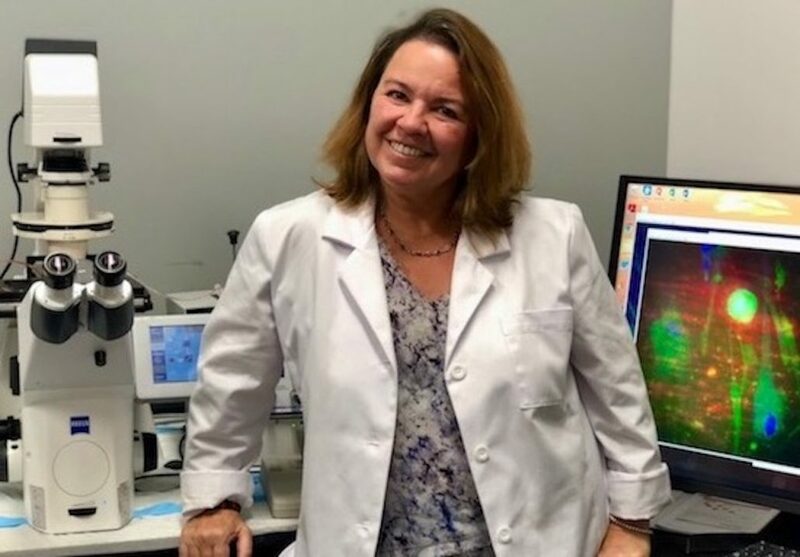 At Morpheus Biolabs, in collaboration with ThromboScience, we can measure the effect of drugs on thrombosis and hemostasis. We can assess thrombosis by flowing whole blood through a chamber embedded in a fluorescent microscope stage. 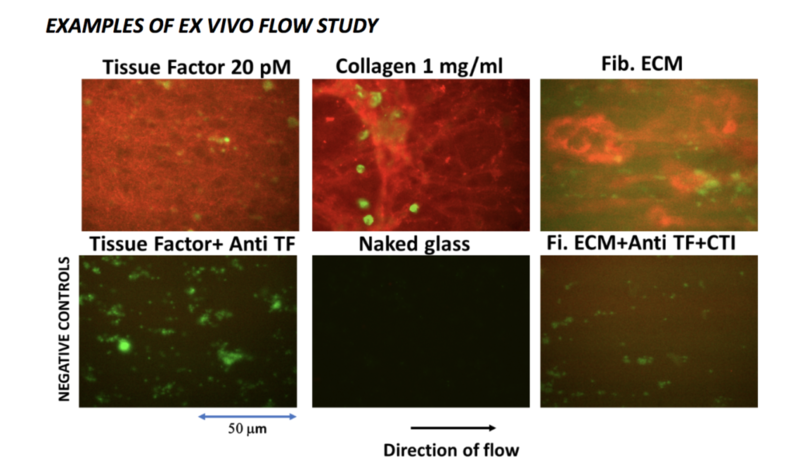 The chamber is coated with three relevant thrombus inducing molecules: collagen, which activates platelets and induces fibrin formation through the intrinsic coagulation pathway, Tissue Factor (TF), which activates the extrinsic coagulation pathway, and fibroblasts, which constitutively deposit a more complex extracellular matrix (Fib.ECM). Blood can be perfused through these chambers at high shear rate to mimic arterial flow, or at low shear rate to mimic venous flow. We can visualize the formation of platelet aggregates and fibrin deposition by the flowing blood onto these reactive surfaces with labeling platelets with one specific fluorescent dye and fibrin with another fluorescent probe. When we add the drug to the whole blood and flow onto a reactive surface we can assess if, and under what conditions, it increases or decreases thrombosis.